Combining the best of both worlds! A Gentle Yoga practice ending with a guided meditation in Yoga Nidra. Our Gentle Yoga is a Hatha based class that takes each posture to the individual’s specific needs. 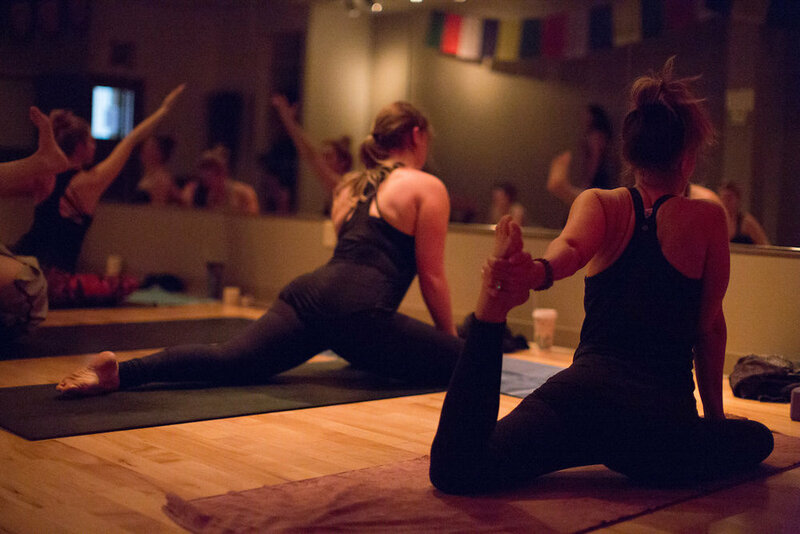 Hatha yoga uses bodily postures, breathing techniques, and meditation with the goal of bringing about a sound, healthy body and a clear, peaceful mind. Yoga Nidra "Yogic Sleep" is a state of consciousness between waking and sleeping, much like the "going to sleep" stage. It is a state in which the body is completely relaxed and the practitioner becomes systematically and increasingly aware of the inner world by following audio cues and guides. Come relax and explore a deeper sense of meditation and relaxation. You will leave feeling refreshed and renewed. Candlelit Gentle Yoga is a basic Hatha class taking each posture to the individual and specific needs of each student. Hatha yoga uses bodily postures, breathing techniques, and meditation with the goal of bringing about a sound, healthy body and a clear, peaceful mind. MONDAY EVENINGS 5:45PM. DROP-INS WELCOME.